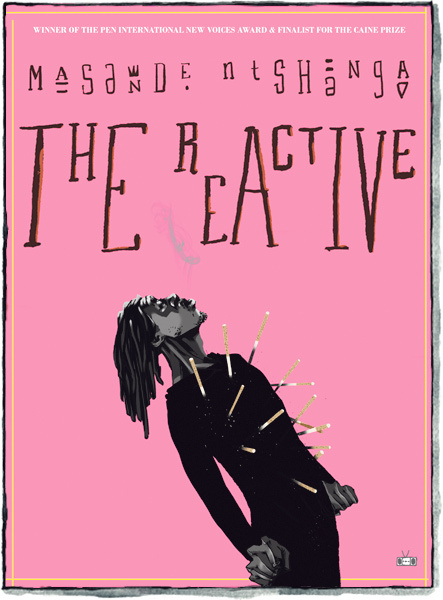 “We aren't wealthy, Nathi, but we aren't prisoners,” the lead character's uncle in Masande Ntshanga's debut novel, The Reactive, tells him. Lindanathi, who we follow through both slums and breezy penthouses, raging parties and ancient rituals, seems, despite circumstances that might suffocate another, largely self-determined. Yet, even from the first page of the slim novel, we learn that Nathi is tethered by the death of his brother, a death he feels responsible for. The Reactive takes place in South Africa circa 2003, a country then steeped in a culture of AIDs denialism led by former President Thabo Mbeki. Nathi and his friends, Cecelia and Ruan, spend their days huffing industrial glue, drinking and fading in and out of consciousness, buoyed by the illegal sale of Nathi's antiretroviral drugs—at a time in South Africa when they were largely unavailable—to others who, like Nathi, are HIV positive. Their days past listlessly until a shadowy figure materializes in the periphery, depositing a life-changing sum of money in Nathi's bank account in exchange for his entire supply of ARVs. Implicit in the offer is a threat—the stranger includes Nathi, Cecelia and Ruan's addresses, scans of their driver's licenses, the names of their families. Despite the wealth of action in the book, Ntshanga is more invested in exploring Nathi's emotional life and the anatomy of post-apartheid South Africa than unpacking the plot. That's not a criticism—it the unsettled heart of The Reactive; it is what makes the novel sharp and affecting. Nathi, while ever in motion, is rooted in his past. He is at home in both the city of Cape Town, as well as the rural, impoverished mountains of eMthatha where he is from. He straddles a life of opportunity—made possible by the recent windfall of cash—while battling the very real spectre of racism and the pervasiveness of classism, addiction and the mechanics of living HIV positive, in a world that largely denies the existence of AIDS. Looming, always, is death—both the guilt attached to Nathi's brother's death, and Nathi's own impending death, magnified by his disease. Cecelia and Nathi play a game called “Last Life” in which they muse on how they would spend their final days, their final hours. “What if Last Life was moved up to now?” Cecilia asks as they sit at the bar, waiting to make the deal that might change their lives. Both Ruan and Nathi answer, mystified, “I don't know.” The three of them, despite their strung-out, abstracted days in which “night time came. Then daytime. Then night time again. Then day time. It went on like this for awhile,” are capable of directing their own fates. Admirably, and with cutting insight, Ntshanga takes the plot in surprising directions. Not least of all, he directs the story with an amazing precision of language that few writers can achieve in a lifetime work. With a style all his own, Ntshanga animates despair and agitation in a collage of moments, memories and landscapes that speak volumes of a exigent moment in South African history. Ntshanga grapples with the past and the too-real present with grace, but not clemency, with hope, but not too much.